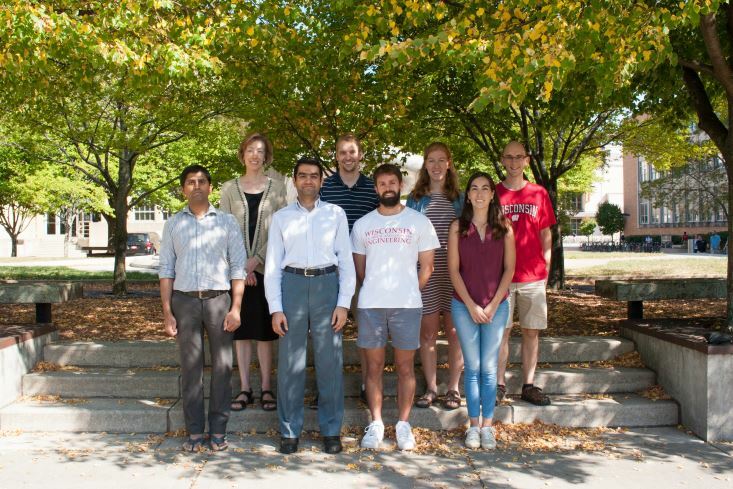 Our group's research spans computational and experimental applied electromagnetics, with an emphasis on bioelectromagnetics and the development of diagnostic and therapeutic technologies for biomedical applications. Applied electromagnetics is playing a pivotal role in the development of advanced technologies that address society's challenges across a broad spectrum of communications, computing, materials processing, and sensing applications. As the boundaries between biology, medicine, and engineering continue to blur, the spectrum of applications significantly impacted by electromagnetics engineering is rapidly expanding to include a variety of public health issues in need of engineering solutions. Accordingly, we focus our work on cross-disciplinary problems that are extremely interesting and challenging from an academic perspective and fundamentally important from a societal perspective. Our research activities in bioelectromagnetics currently emphasize microwave diagnostic and therapeutic technologies for biological and medical applications, including microwave detection and treatment of cancer. Medical applications of microwaves have been of interest for decades; however, advances in computing power have resulted in a technical renaissance of this field. Current efforts in our lab include the development of microwave breast imaging techniques; the development of biocompatible contrast agents that enhance the performance of diagnostic and therapeutic microwaves; and the development of microwave thermal therapies. Co-investigators include Profs. Van Veen, Behdad, and Booske (ECE, UW), Prof. Kelcz (Radiology, UW), Dr. Wilke (Surgery, UW), and Prof. Sitharaman (BME, Stony Brook Univ.). Time-domain computational electromagnetics (CEM) tools such as finite-difference time-domain (FDTD) techniques play an integral role in our applied electromagnetics research and have proven invaluable in the innovation of numerous emerging technologies. For example, we use CEM tools as testbeds for evaluating new concepts using "virtual patients" and as forward solvers in inverse scattering algorithms. In addition, in collaboration with Profs. Knezevic and Booske, we are building on the capabilities of FDTD to study THz-frequency electromagnetic interactions with materials. Our work is inherently multi-disciplinary and collaborative within and beyond electrical engineering. Our basic research activities are conducted primarily in our laboratory facilities in Engineering Hall (3415 EH and 3559 EH). Our clinically oriented research has been conducted on site at the University of Wisconsin Hospital and Clinics. Past and current research has been funded by the National Institutes of Health (National Cancer Institute), National Science Foundation, Department of Defense Breast Cancer Research Program, UW Comprehensive Cancer Center, Whitaker Foundation, and Air Force Office of Scientific Research.